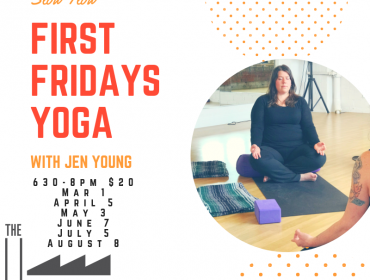 Join Jen on the first Friday of every month for Slow Flow yoga! Curious about Pilates? 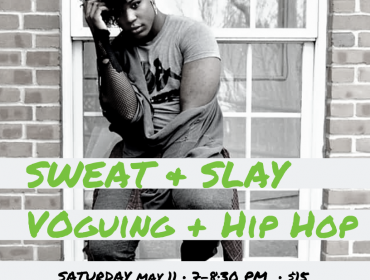 Take this workshop to learn more! 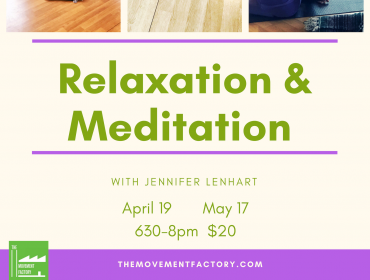 Learn more about Pilates Equipment and try it all out in this intro class! Work your mat practice on the most perfect day to do Pilates - Pilates Day! 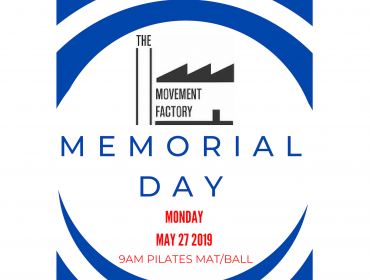 Pilates Day Mat Ball class - a yearly tradition at The Movement Factory! 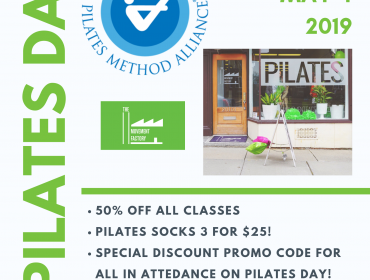 Half off Reformer class for Pilates Day! Try out the Springboard on Pilates Day! Moms and moms to be - join in this great class on Pilates Day! Fast movements and attitude is what this workshop is all about! Mat/Ball class Pre-Memorial Day Festivities! 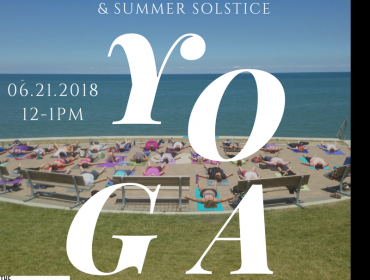 Free lunchtime yoga class on the solstice steps in Lakewood Park! Tap your toes and sing along with Zumbini®!